Now, targeted highlighting to add dimension. Discover the strobe effect! Now, targeted highlighting to add dimension. Discover the strobe effect! The creamy formula with micro-fine pearls combine to boost skin glow. 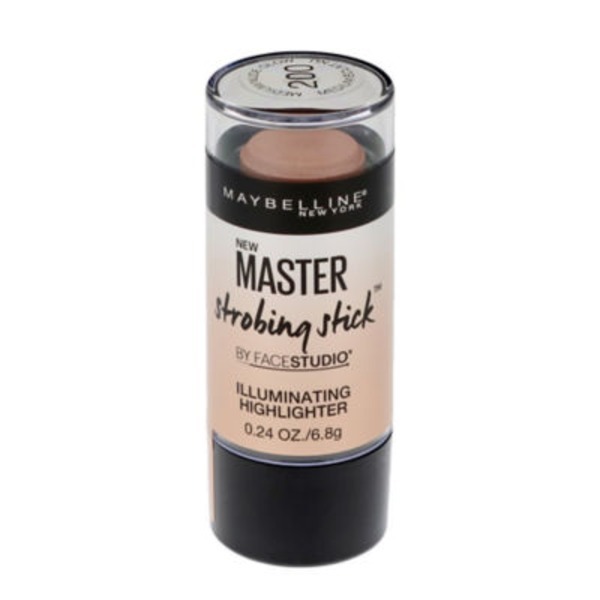 The strobe effect creates the look of skin that appears radiant as if lit from within. Dermatologist tested. Allergy tested. Non-comedogenic. Suitable for all skin types. Suitable for sensitive skin. Step 1. To enhance cheeks – highlight top of cheekbones. , Step 2. To accentuate features – spotlight center of face. , Step 3. To brighten eye area – spotlight brow bone and inner corner.